I hear from many people in rescue and see posts on dogs and cats in desperate situations. I didn’t realize how fragile the system truly was until we faced a break in our transfer program. It was completely understandable and the decisions they made were the right ones. Every week, we head out to Dumb Friends League in Colorado with a van full of dogs/puppies (and sometimes kittens/cats). 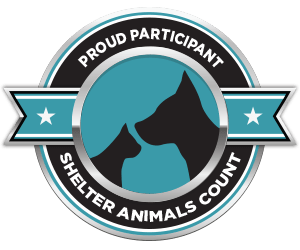 All of our Oklahoma partners – 15 municipal rescues and many 501©3 non-profits are scheduled a month in advance so they know when their homeless/unwanted pets will be headed to a new home in Colorado. Sadly, there was an emergency situation involving a municipal shelter in Colorado and Dumb Friends League asked us to skip a trip. One week seemed doable, but there was the possibility of two weeks. Suddenly, we realized the total impact this was going to have on all of our partners. We have a temporary solution that will help a little. But the full realization of just how fragile rescue is in Oklahoma really hit home. I know every Monday and Tuesday, when our kennels are full, that the sad, scared, barking, terrified residents will be in a new home before the next transfer rolls out. I also know all of our partners are waiting for their turns to come to PAAS and when we stop the bus – everyone is sad. Older PostSometimes - - when all else fails – crabby works!!! !